MainBlogsFundamentally FreundWhat if Israel Spoke to the IRA? What if Israel Spoke to the IRA? British hypocrisy was on full display the other day, when it was revealed that America’s stalwart ally in the war on terror has been holding talks with – guess what – a terrorist group. 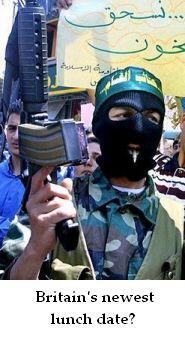 British diplomats have held talks with members of militant Palestinian group Hamas, Jack Straw has confirmed. Mr Straw said his staff had twice spoken to Hamas members, elected as mayors in the occupied territories. But have no fear, Mr. Straw was quick to tell us, Britain’s dialogue was limited to low-level figures in Hamas – as though meeting with small-scale murderers, rather than large-scale ones, somehow made it OK. The cynicism inherent in Britain’s stance is nothing short of sickening. That Tony Blair would court a sworn enemy of the Jewish state, one which has devoted itself to massacring innocent Israelis in record numbers, is both morally obscene and strategically obtuse. He should be ashamed of himself for opening a dialogue with bus bombers and child killers, and for undermining the moral clarity of the global war on terror. Can you imagine the uproar that would ensue if Israel were to open a dialogue with the Irish Republican Army (IRA)? Hmmm….. Maybe such a step, as repugnant as it would be, might just help Mr. Blair and Mr. Straw to better understand the duplicity of their ways.